Look! Up In the Sky!!! Fountain Pens Are Good For You! Very cool posts. I always looked forward to watching the Adventures of Superman as a kid amongst the afternoon slate of syndicated reruns. I’m not a fan of the new Superman’s scuba suit (he and Spider-Man must buy from the same shop), but that’s what you get these days. I haven’t seen the new Man of Steel movie, but not only is the costume’s design a bit ugly, the colors– like for the last Superman-movie costume– are too muted and dark. It looks like Superman needs to do what he used to do in the comic books: Fly into the sun for a few hours to clean it! Hi Jim, really interesting stuff. 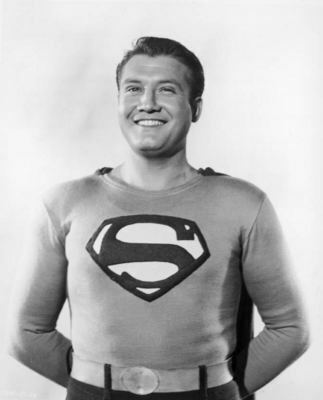 I was wondering if you would give the name of, of some kind of contact information for the seamstress with the George Reeves Superman logo templates so I can also have/get a Superman T-Shirt made. Please contact me at henrysmartin100@gmail.com and maybe I can reimburse you in for the info ($) is some kind of way. IDK, I just want to get my hands on one of those shirts. Unfortunately, the woman who did my shirts stopped doing them. 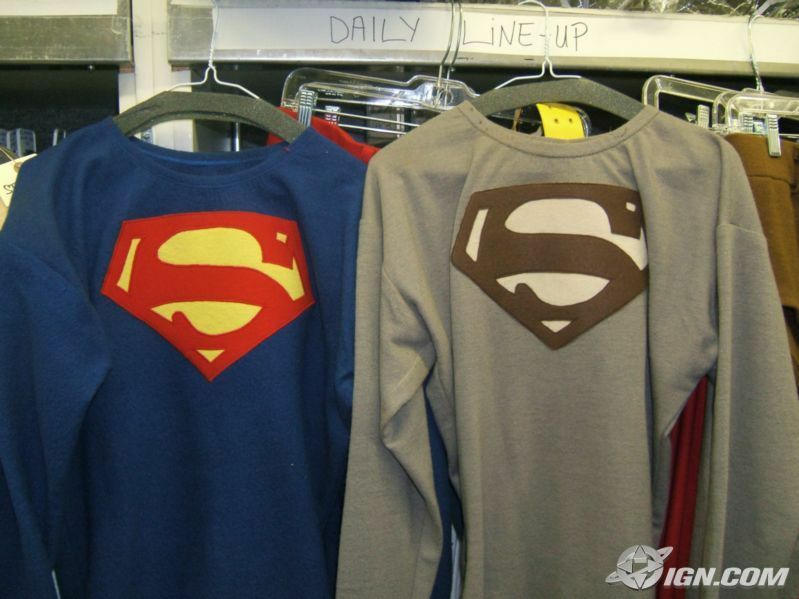 However, I just looked on eBay and there are some very accurate, if the photos don’t lie, embroidered George Reeves-style Superman logos offered by a seller. 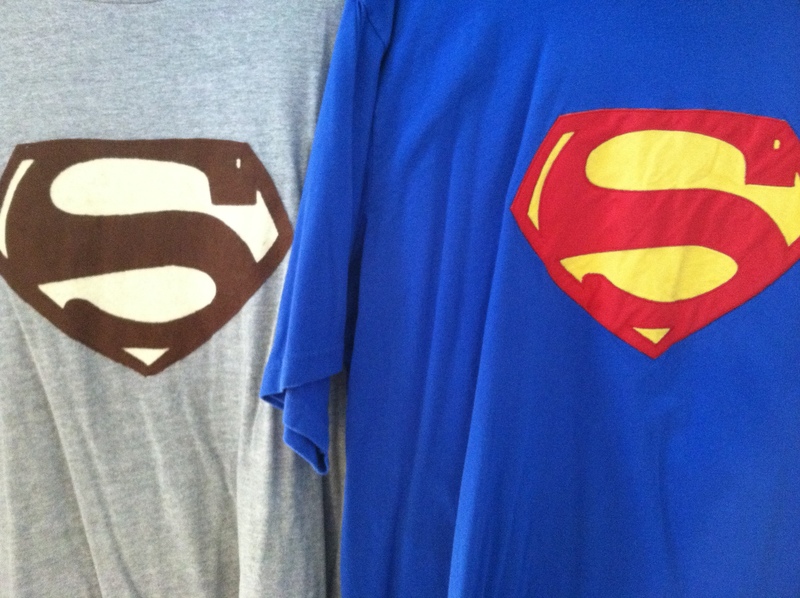 Use “Embroidered George Reeves Superman Chest Logo” in an eBay search and you’ll find them, and they offer three color variations. At about $25 a pop, they look like a good deal and you could get a local seamstress to put them on a shirt for you. Good luck! My pleasure to assist and stay away from the Kryptonite! Would love to get one of those shields or an actual reproduction grey version of the costume! Any idea how/where? Thanks for the comment. I have no idea; I was lucky to find someone for mine. I guess if you found a person with great sewing talents, they could make one for you. Good luck! 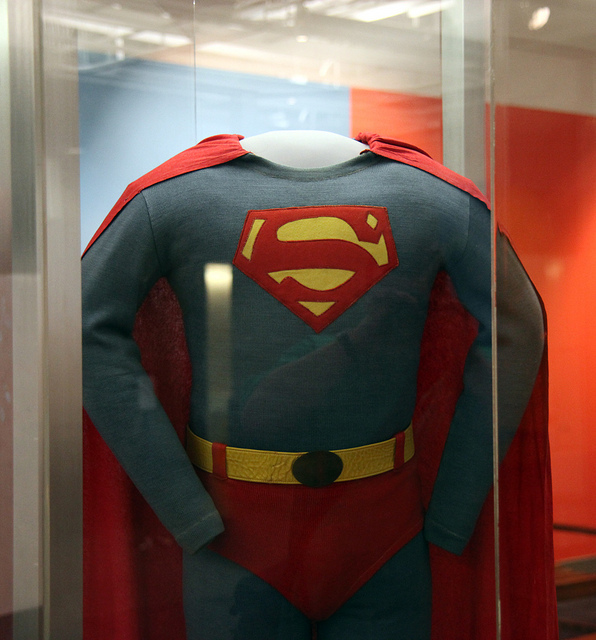 Wait…Reeves wore a short sleeve variant of his Superman costume under his suit???? Which episode was it in???? That has me interested in seeing!!! Hi, Matthew. That was in a black-and-white episode, if my memory can be trusted. In the scene, Clark Kent has his back to Jimmy Olsen and starts removing his jacket and dress shirt. You can see that his Superman shirt is short-sleeved in that shot! I believe Clark had lost his memory of being Superman in that episode, so maybe it was “Peril in the Sky.” If you find it, please post the episode title.